Handball Senior Semifinals take place this weekend! 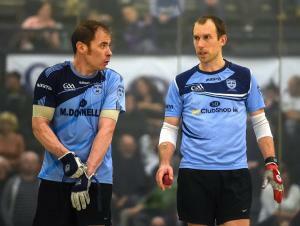 Wishing all the best to Eoin Kennedy in his Senior Singles semi-final v Gary McConnell. Eoin's match will probably start about 2.30pm or shortly after! All support will be welcome. Finals scheduled for Sat 29th Sept.